One can’t help but dream about the bustling Damnoen Saduak Floating Market at the mention of Thai cuisine. A cherished memory of being on a long boat, absorbing the aromas of amazing food whilst nibbling on pork, satay and Pad Thai. A day at The Cooking Academy actually enabled us to recreate these fond memories of Thailand with a Chaing Mai inspired menu. Lovely Kumud imparted pearls of wisdom and terrific tips throughout the day. Appreciating good food really does require an understanding of properties, aromas, and tastes. 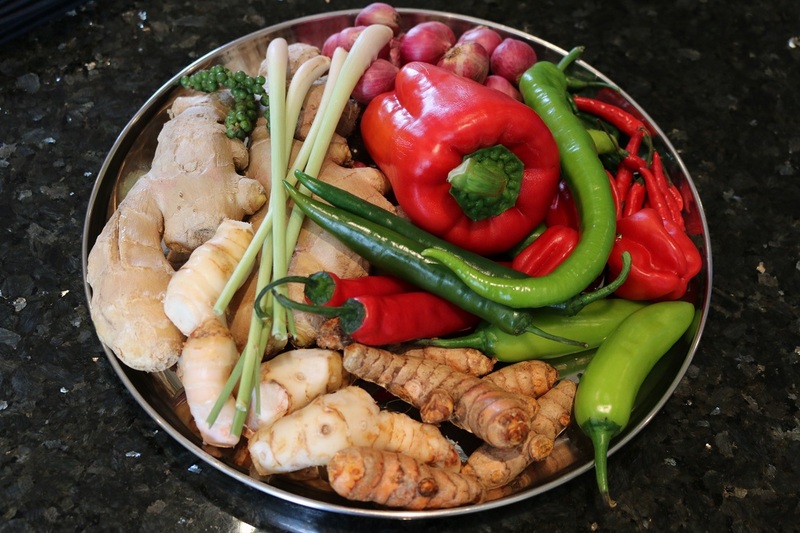 From demystifying the chilli spectrum to tasting raw ingredients such as galangal, turmeric, and cinnamon; it was all part of understanding the flavours being cooked with. Sniffing the pungent shrimp pastes and fish sauces to gauge how even these scents can be balanced and absorbed by a dish, whilst miraculously enhancing the taste. Destemming kaffir lime leaves to release their beautiful aroma and nipping cuts in Lemongrass for it’s fragrance, was clearly the key secret. As much as we love fine dining there’s something rather satisfying about cooking up a storm in the kitchen. Especially in someone else’s kitchen, which means no washing up! The recipes were all simple and achieved mouth-watering results. 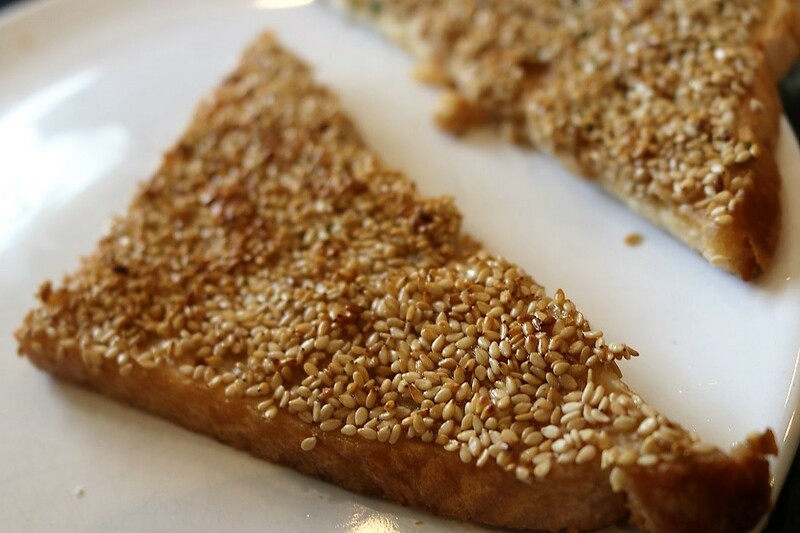 The Prawn Toast, was light, and crispy with a perfect sesame crunch. 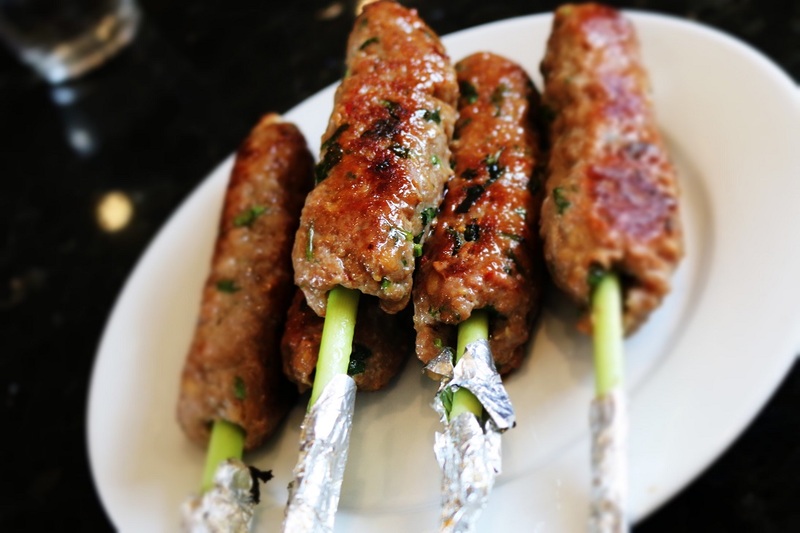 The succulent pork on lemongrass skewers was a favourite, as such an effective way of infusing the meat. Having been reluctant to cook with fish sauce and shrimp paste these have clearly been our missing ingredients to replicating authentic Thai cuisine. 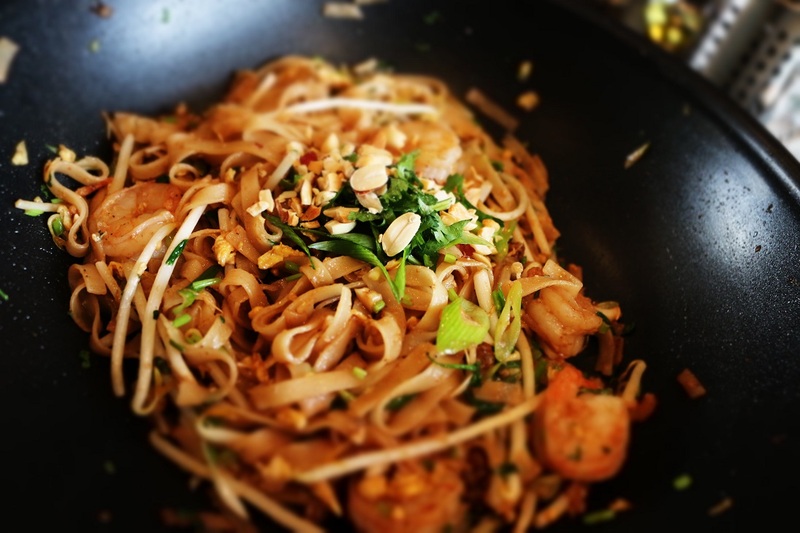 The classic Pad Thai with butterflied prawns was just divine. 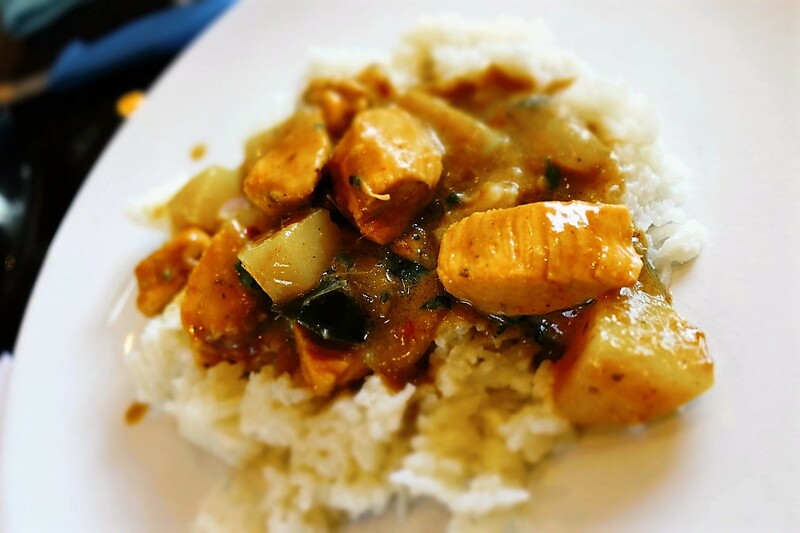 As the aroma of coconut bubbled through, the fishy paste was transformed into a creamy Masasaman curry. The creamed coconut added a real depth of flavour to this dish. 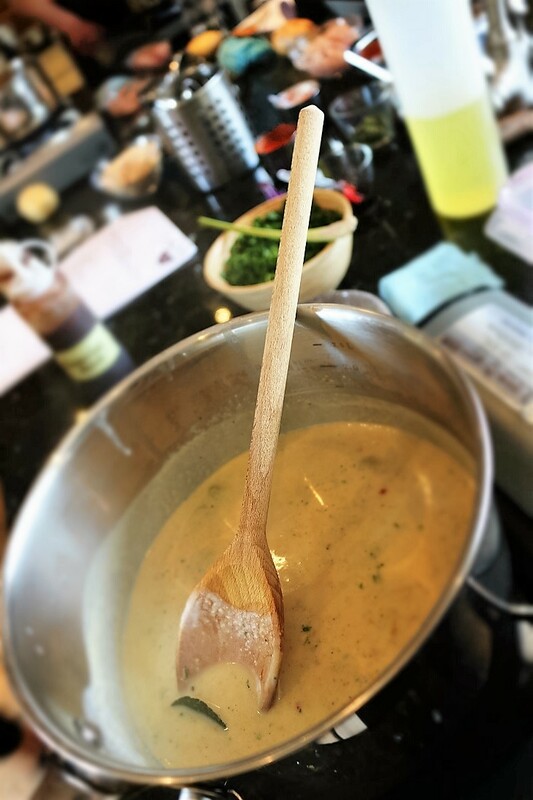 The course at The Cooking Academy is perfect for a novice with a passion for cooking or even the seasoned chef. It’s insightful and sure to leave you feeling more inspired and confident in the kitchen. The day is a superb balance of expert demonstration and hands on cooking, with meals prepared just in time to sample for lunch time. Better still, with plenty of food to take home for dinner too. You will want to invite guests, as this may be the best meal you ever cook. 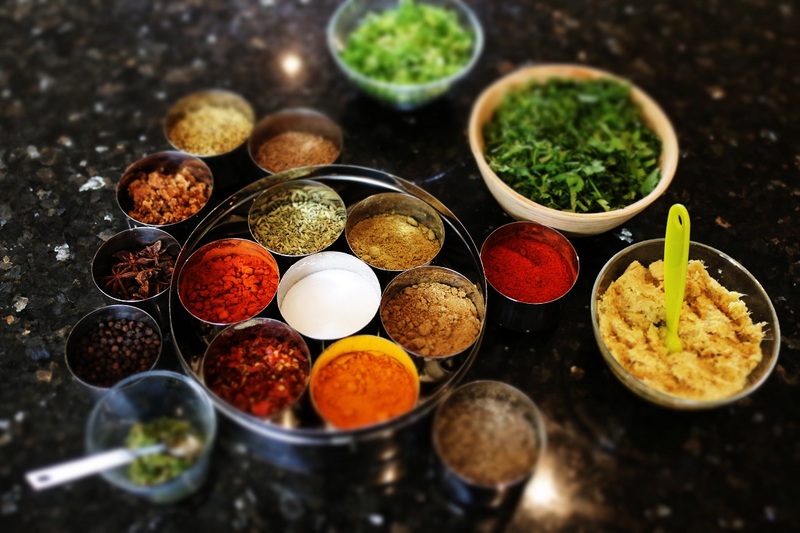 The Cooking Academy run regular small group classes, private courses for parties, and even corporate events. With a wide repertoire of cuisines, there’s sure to be something for everyone. 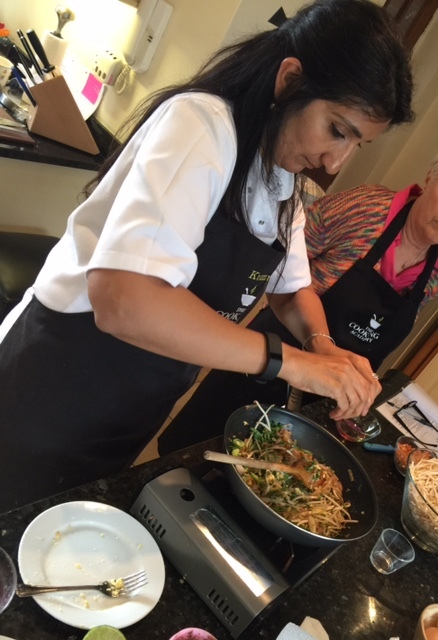 The Cooking Academy experience would make a lovely gift for Valentine’s Day or Mother’s Day and even a wedding gift for a newly wed couple.